This event offers a special opportunity for the sponsoring Chamber Member to showcase their services and facilities to the business community, other Chamber members, the Board of Directors, and their own customers in a casual, relaxed atmosphere after normal business hours! 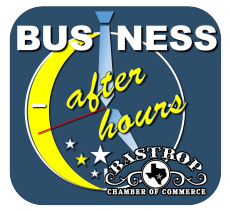 See the Chamber Events Calendar for upcoming Business After Hours, typically the 2nd Thursday of every month except for July and December! If your business would be interested in sponsoring a Business After Hours, you can get more information HERE. These are very popular events and are typically booked more than a year out, so reserve your spot today by calling the Chamber offices at (512) 303-0558!